Converting Ideas Into Solid Mobile Experiences! Nowadays, almost 79% of the population own smartphones with them and nearly 60% of the users access mobile apps to accomplish their needs and demands. If your business is targeting larger and smarter user-base, your business should have a dedicated mobile app to enhance user experience and as well to increase efficiency and productivity of business. But for that, choosing the best mobile app development company in New Orleans is quite crucial. Which app development platform you will prefer? Android, iOS, Windows or all? Hyperlink Infosystem has a perfect solution to address your requirement. We are one of the top mobile app development companies in New Orleans that will change your app ideas into innovative mobile applications which head your business at the level you cannot think off. Applications developed by our app developers not only proves to be a great revenue generating tool but, also create a mirror of trust amongst users. If you wish to develop Android, Windows, iPhone, or the future Wearables and IoT trended tech apps with us, we will brainstorm best app strategy to build an app as per your requirements. We are the one to convert your dream app idea into secure, engaging and serviceable applications. Why Should You Develop An App With Hyperlink Infosystem? Below are the reasons to develop an app with us. 1) We brand your business online by our exceptional mobile app. 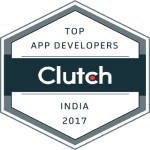 2) We understand your business goals and objectives and convert it into the award-winning mobile application. 3) We are the most cost-effective, classic and creative when it comes to app development. 4) We do a lot more rather than just providing mobile app services. Just hit us your requirements and contact us now for further inquiry.